If you are ready for a quiet break as you recover from holiday hoopla or want an inspiring start to the New Year, I highly recommend a visit to the Grand Rapids Art Museum (GRAM). Foster Swift is a proud sponsor of the GRAM’s exhibit showcasing the work of Dutch fashion designer, Iris van Herpen. 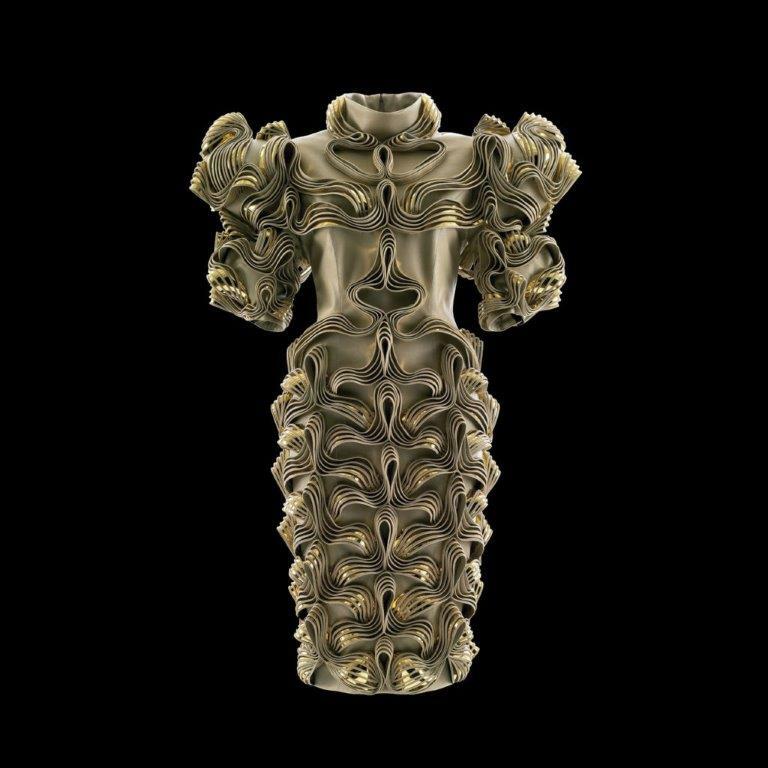 "Iris van Herpen: Transforming Fashion.” If you are familiar with van Herpen’s work, all that you need to know is that you have until January 15 to see this amazing exhibit. If not, please read on … then go see this amazing exhibit. Iris van Herpen produced her first collection in 2007 and has since become a member of the ultra-exclusive Chambre Syndicale de Haute Couture, an association that determines which fashion designers are eligible to be true haute couture houses and features their designs in biannual Paris runway shows. Van Herpen is acclaimed for her implementation of innovative techniques. She is acknowledged as being the first to incorporate 3-D printing into fashion design and her 3-D printed dress was selected by TIME Magazine as one of the 50 best inventions of 2011. I am particularly captivated by van Herpen’s use of collaboration to create her visionary designs. Many thanks to the GRAM for bringing to Michigan this opportunity to experience the work of one of the world’s leading fashion designers! For more information, check out the GRAM’s site, here, and go to the Exhibition Videos link to see what van Herpen had to say about her exhibit.